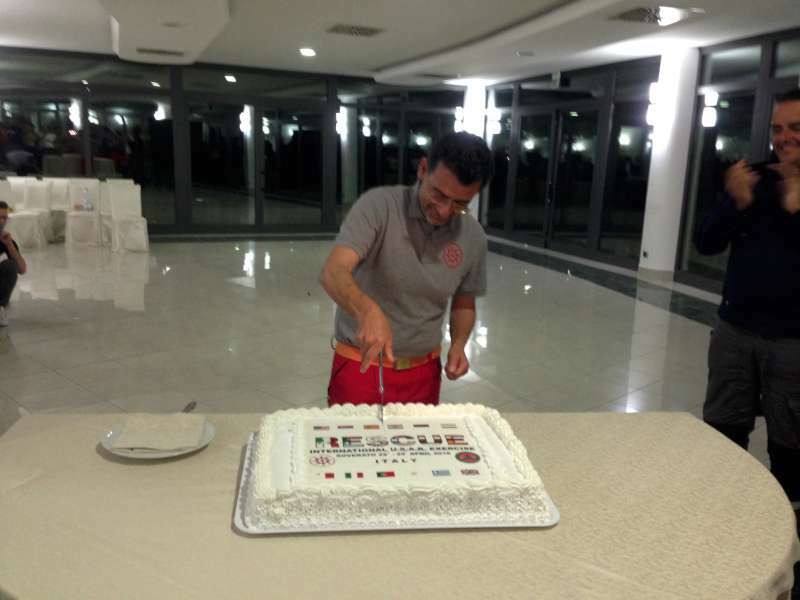 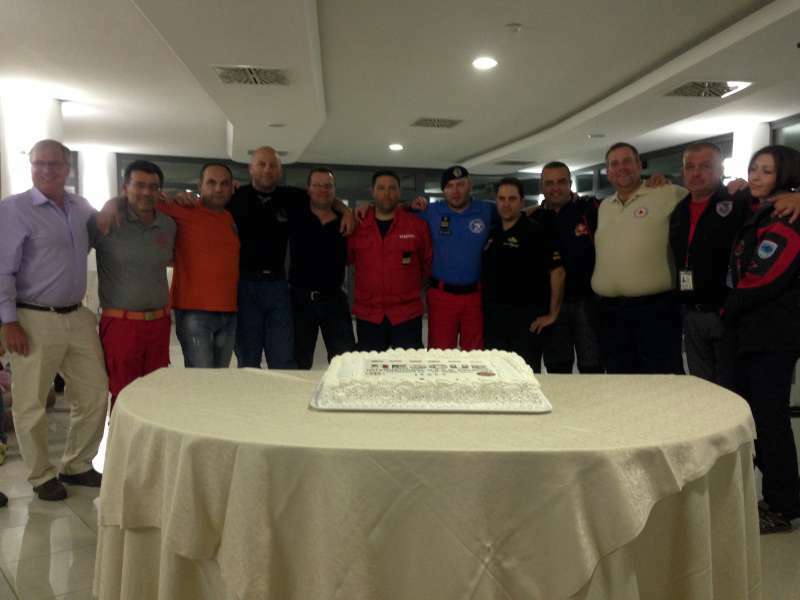 The 22nd of April 2016 marked another important achievement in the EVOLSAR calendar during a training weekend organized by the Italian member team ‘Edelweiss’. 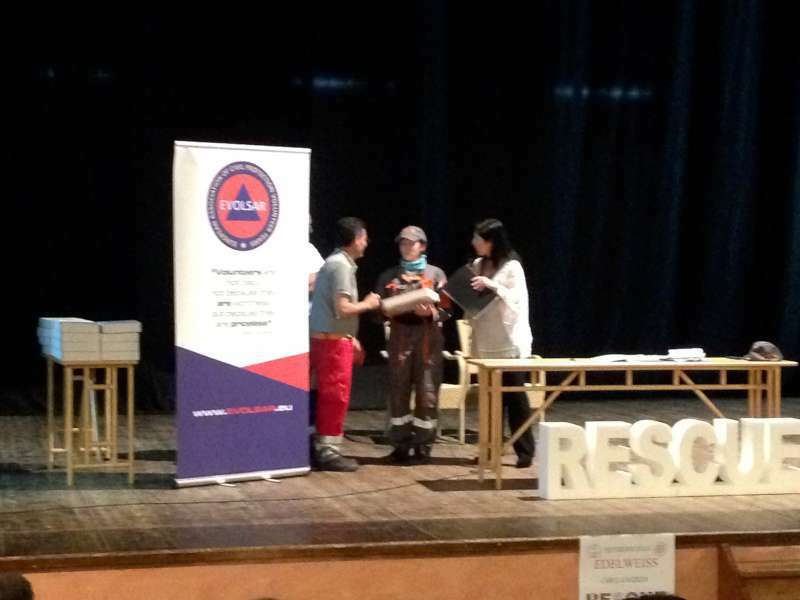 The event saw rescuers from all of the six (6) member teams of EVOLSAR, as well as another six (6) countries, represented by volunteer rescue teams that aspire to join or work with the organization in the near future. 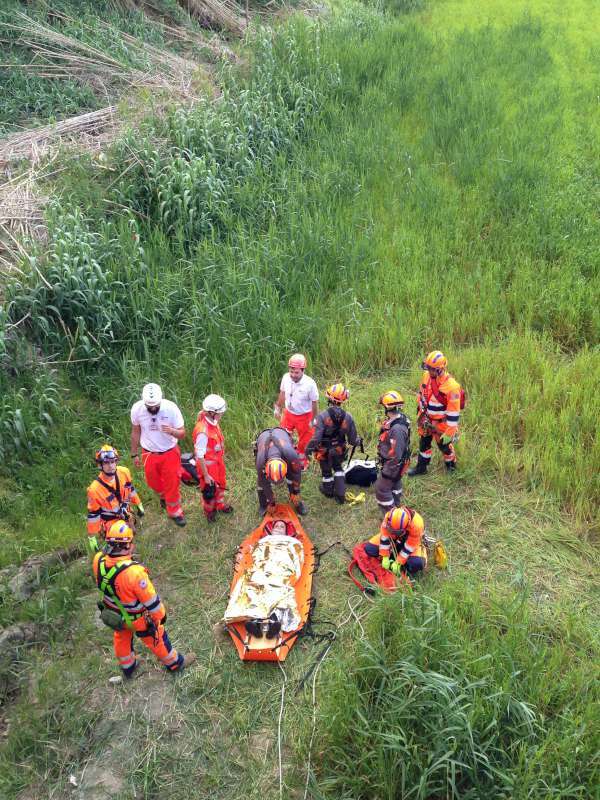 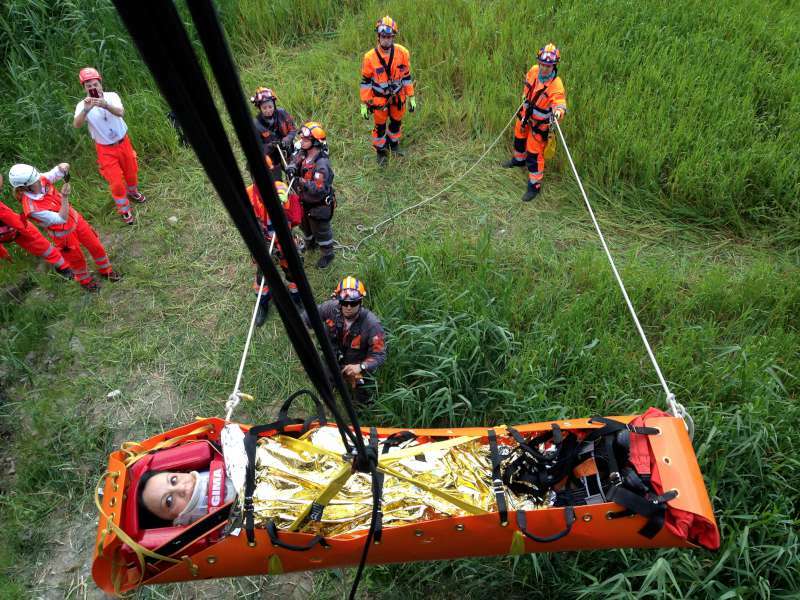 A twelve (12) hour, full scale rescue simulation gave the volunteer rescuers another opportunity to work together and experience interoperability in the different scenarios as prepared by the Italians. 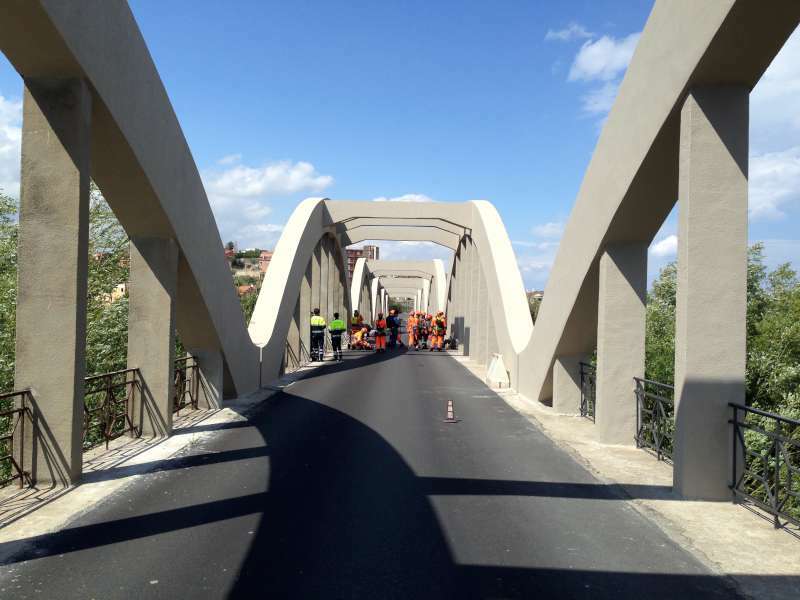 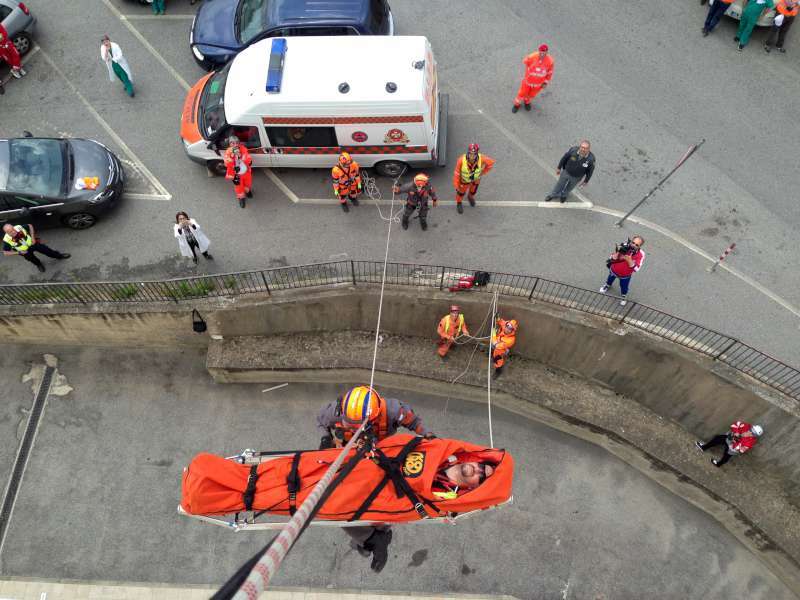 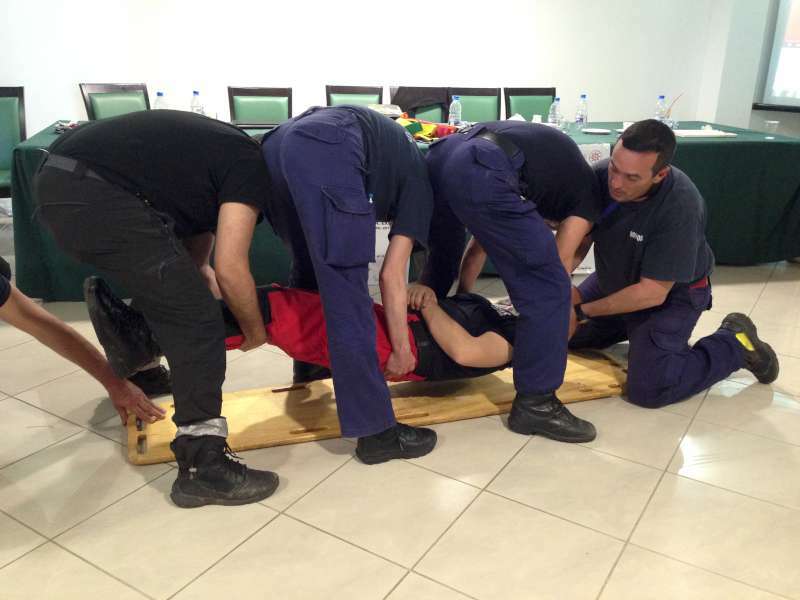 Such scenarios included confined space rescues, rescue from heights, mass casualty rescues and, for the first time, a rescue operation from the fourth floor of an operational hospital in Soverato which had to be conducted in the shortest and most discrete way possible. 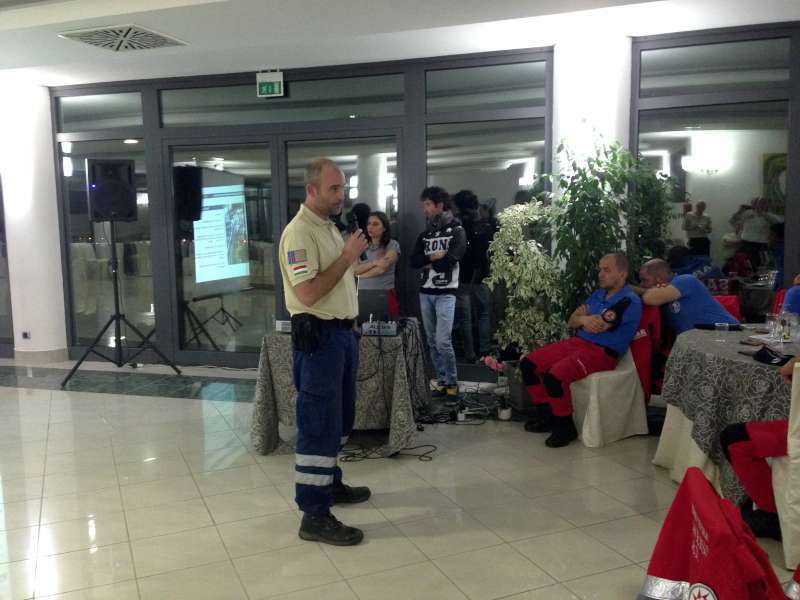 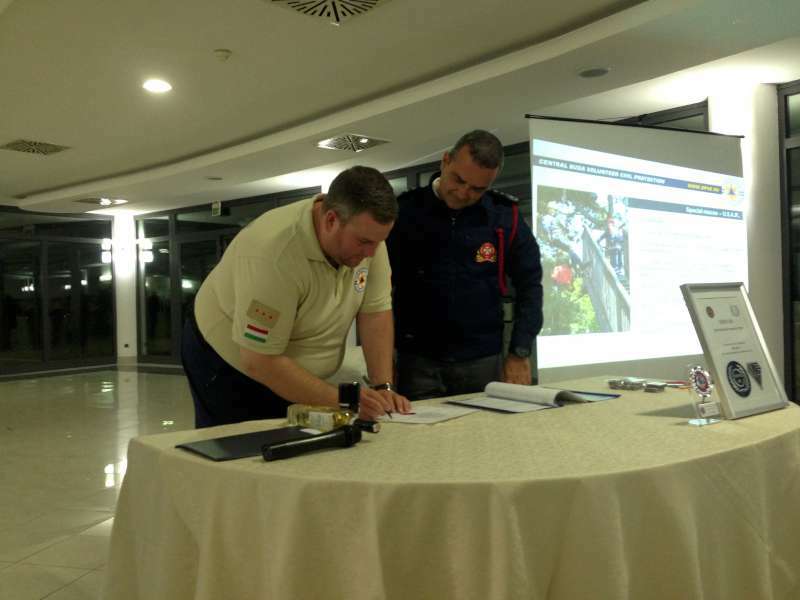 Other than the simulations, a number of workshops were organized for the participant rescuers while presentations were held by Petzl, the Hungarian Team ‘Central Buda – Volunteer Civil Protection Association’ which officially accessed EVOLSAR as a member team during the same weekend. 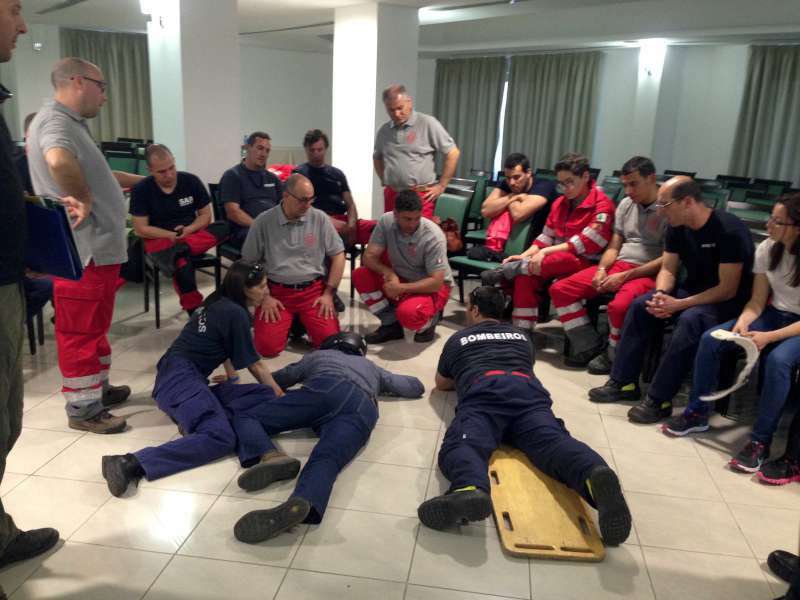 New teams from Spain & Portugal presented an overview of their organisation to EVOLSAR. 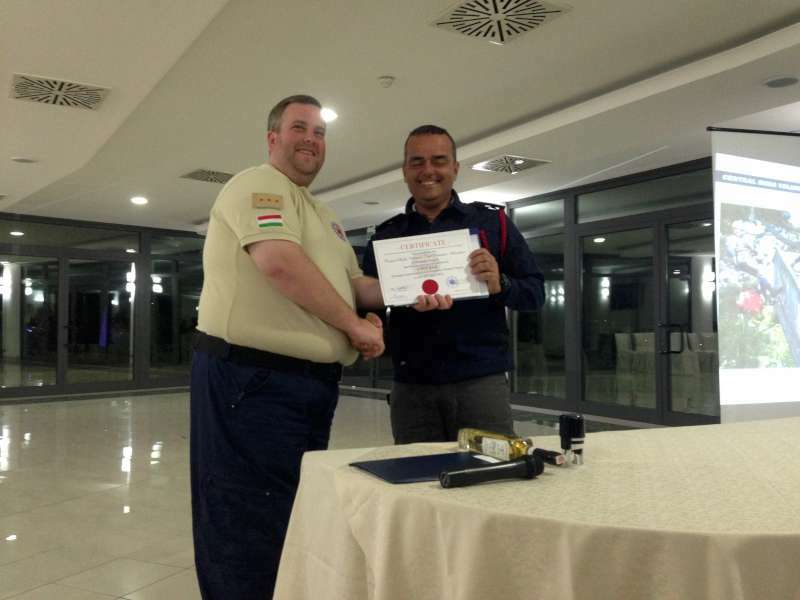 An interesting highlight was an experience shared by ‘Serve On’, the British team member, who shared a bitter sweet experience during one of their deployments in Pakistan. 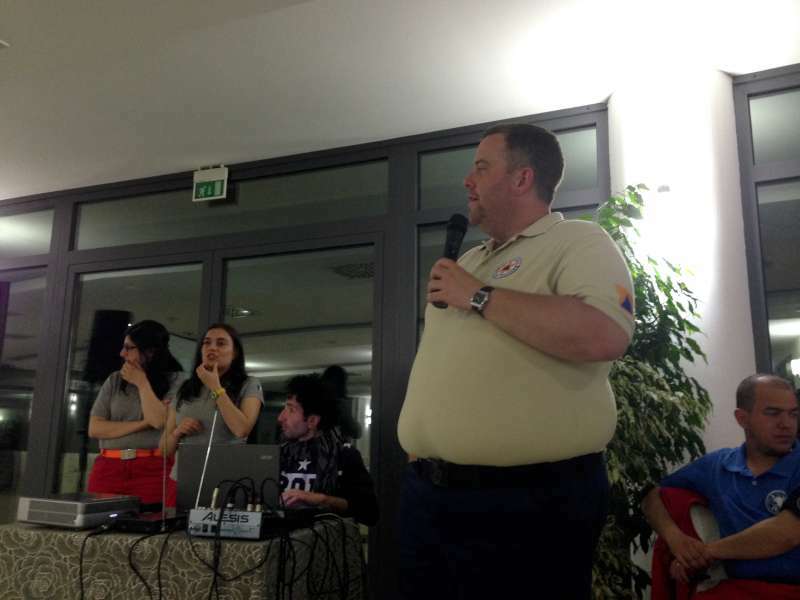 In the words of Mr. Pasquale Pipicelli, president of Edelweiss, this training weekend was worth every every second of preparation as it was a total success in every way. 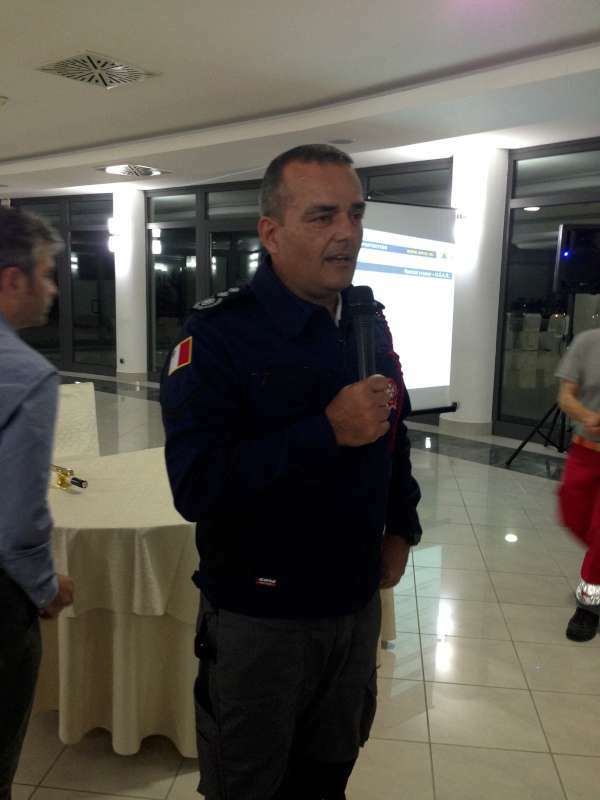 Mr. Pipicelli thanked everyone present during the closing ceremony, the government officials who visited the event, Edelweiss’ sponsors and most of all each and every active member of Edelweiss, who gave up so much of their time during the past months for the successful outcome of this exercise. 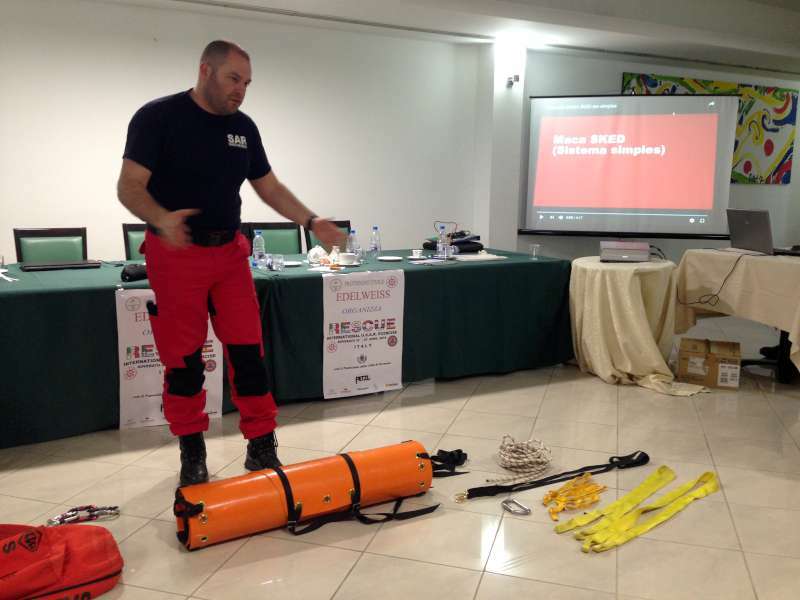 This three day event included meetings as part of the Erasmus+ KA2 project entitled ‘Synergising European Volunteers Rescue Teams – A Rescue Operations Manual’ led by the Maltese rescue team the Emergency Fire & Rescue Unit (EFRU).